I have an idea - let us put a ban on something mindless like, say, momos. 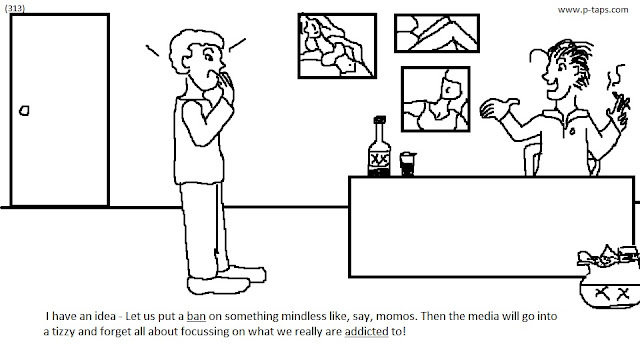 Then the media will go into a tizzy and forget all about focusing on what we really are addicted to! What a strong message this comic is delivering! Brilliant! It makes me realise how a small drawing like a comic can make a huge difference. Thanks for viewing my blog. I think it's important to share such thoughts in a lighter vein, don't you think?